Kids will still love these unlikely adventurers (as will their parents). Curiosity, courage, forbearance and friendship are themes at the heart of “The Curious Lobster,” an engaging story for children and adults alike. 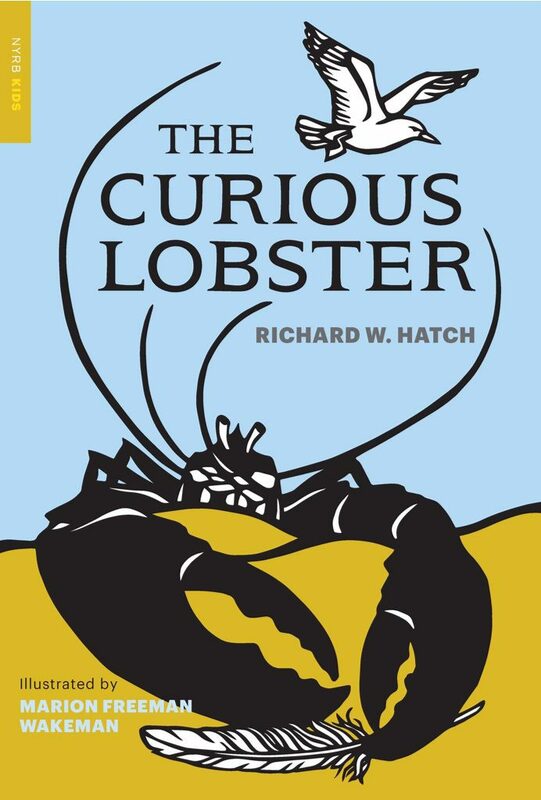 Written by Richard Hatch (1898-1985), this newly released edition combines both the “The Curious Lobster” and “The Curious Lobster’s Island,” stories that have enchanted readers for nearly 80 years. It is a kind of American cousin to the English tale, “The Wind in the Willows,” published in 1908. “The Curious Lobster.” By Richard Hatch. Illustrated by Marion Freeman Wakeman. New York Review Books (NYRB KIDS). Paperback. 400 pages. $14.99. Curious where sculpin, his noisy neighbor, goes every day, Mr. Lobster make an inquiry. The fish tells him he goes up the river to eat. Because he’s never been up the river himself, Mr. Lobster decides he must go to learn what he might learn. Sculpin warns him that whatever he does, he must not go up on land. Land is dry and he might die. On his first adventure upriver, Mr. Lobster encounters Mr. Badger, fishing on a bank. When Mr. Badger invites him ashore, Mr. Lobster allows his curiosity to get the better of him and climbs out of the water. Thus begins the first of his grand adventures. Being careful not to dry out is paramount, and by keeping that in mind that, the unlikely pair can become friends. Through a wild turn of events, Mr. Bear shows up, captures Mr. Lobster and attempts to boil him. But Mr. Badger rescues his friend. All’s well that ends well, and Mr. Lobster, Mr. Badger and Mr. Bear become friends. The three couldn’t be more different: Mr. Lobster is curious and wants to become wise by learning more about the world; Mr. Badger thinks of himself as a natural leader, and concocts one hare-brained adventure after another, forever tricking his friends to go along with him; and Mr. Bear loves nothing so much as staying home, being comfortable and never having to work. In their widening adventures together, each has the opportunity to rescue the others. Together or separately, they encounter owl, seagull, turtle, mouse and, finally, serpent. In the course of the stories, they borrow a rowboat, stow away on a ship, then steal a sailboat for their grandest adventure ever. Though not as lyrical as “The Wind in the Willows,” Hatch’s book has the makings of a classic. It is brimming with adventures that stir thoughts on friendship, prudence, seeking to find the best in others and the bright side of all misfortunes. The exquisite pen-and-ink illustrations by Marion Freeman Wakemen (1891-1953) are spare and focused, yet poignant and dramatic. The book is well suited to be read aloud to young children and to be savored by adults. CORRECTION: This story was updated at 7:10 p.m. on Nov. 15, 2018, to correct the year of Richard Hatch’s death.